Going to watch All Blacks tonight? Get your beer ready? Are your friends coming over as well? 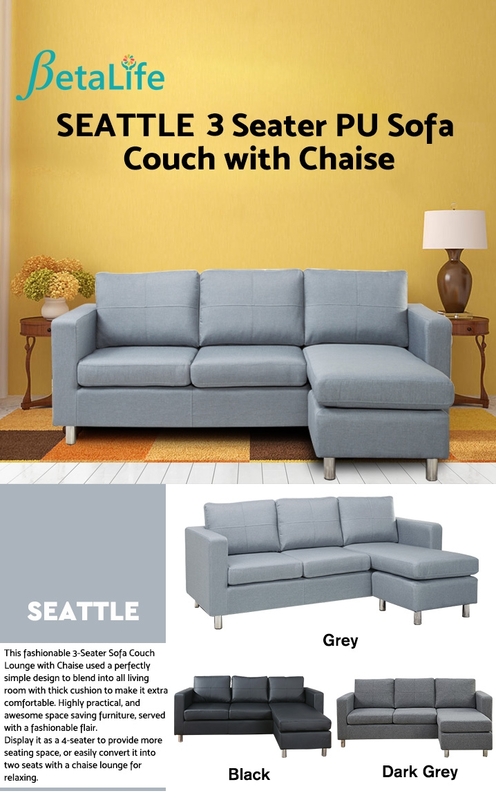 All you need now is this fashionable 3-Seater Sofa Couch Lounge with Chaise. This BetaLife modular sofa couch is made by polyester fabric, strong pine wooden frame, metal legs with chrome finish, and padded 50D high density foam. 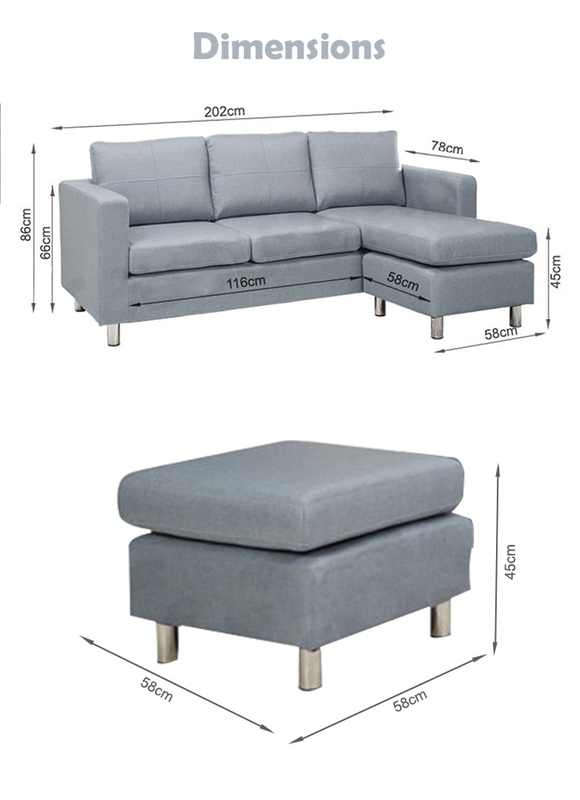 Perfect simple design to blend into all living room with thick cushion to make it extra comfortable. 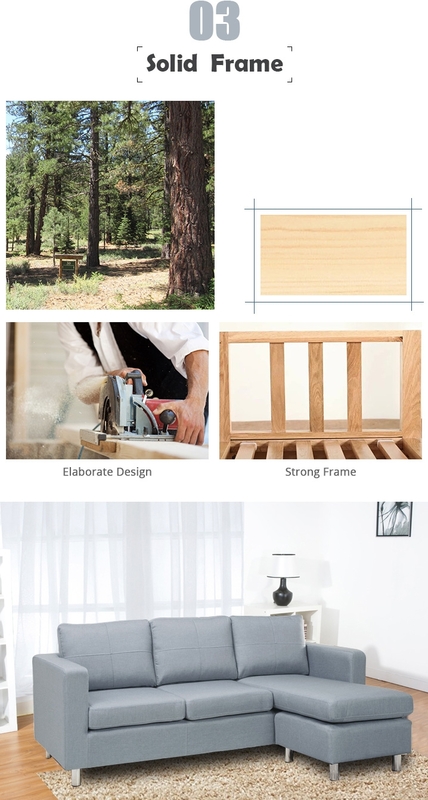 Highly practical, and awesome space saving furniture, served with a fashionable flair. Display it as a 4-seater to provide more seating space, or easily convert it into two seats with a chaise lounge for relaxing. Enjoy the relaxation benefits provided by this beauty! 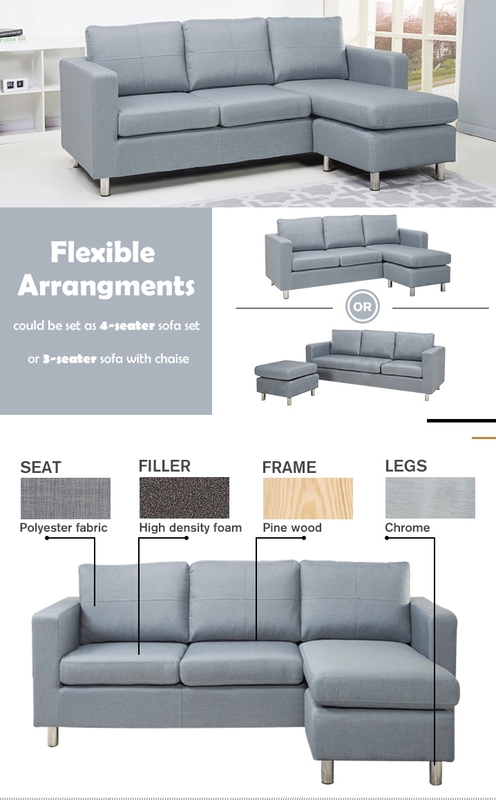 PLEASE NOTE: Sofa Couch Simple assembly is required! 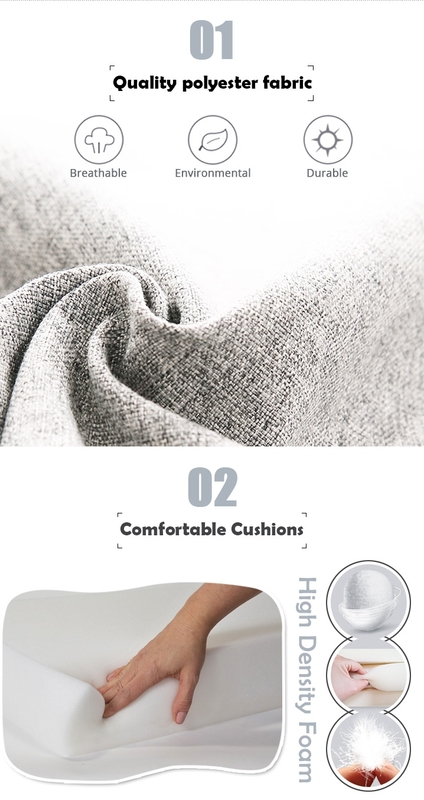 Sofa Couch Ideal for living rooms, bedrooms, guest rooms, etc.